Many young women are passionate about riding a motorcycle. Whether or not we realize it, riding is an extreme sport, requiring a lot of physical effort from the body. During a motorcycle ride, the heart speeds up, the level of adrenaline and cortisol in the blood increase, and postural muscles work effectively to maintain balance. And like every sport, motorcycle riding comes with a risk of bodily injury, disability or death. During pregnancy, a woman’s body is subject to many adaptive changes in both the physical and mental zones. Starting from hormonal changes, through changes in the reproductive organ and cardiovascular system, the body gradually prepares for pregnancy and childbirth. In the third trimester, her center of gravity also changes which plays an incredibly important role in motorcycle riding. This is due to an intensified depression in the lumbar and sacral section of the spine called the cross and gradual enlargement of the abdomen. Around this time she may also become more clumsy, and more sensitive to physical exercise, and heavy lifting. Many pregnant women ask themselves, should I continue driving? 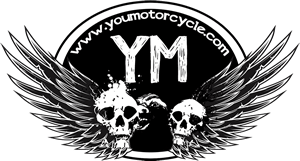 Is motorcycling dangerous for my child? I hope that the following article will dispel any doubts. Riding motorcycles puts a particular strain on the body. When riding, the pregnant uterus is exposed to shocks and vibrations that can affect the implantation of the embryo in the early stages of pregnancy. In the second and third trimesters, it may cause damage to the ligaments supporting the uterus or, in the event of an accident, irreversible damage to the fetus. 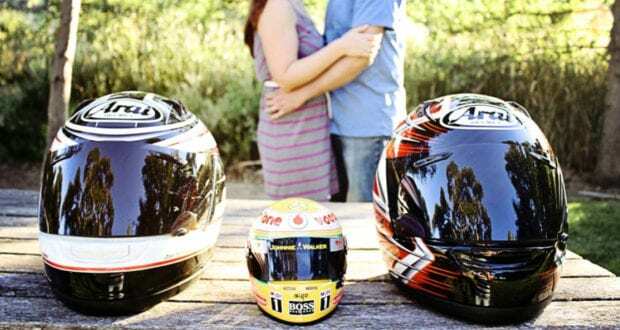 It should be remembered that a pregnant woman increases her oxygen demand from the very beginning of pregnancy, so it’s a good idea to invest in safe, unique female motorcycle helmets that increase airflow. While riding a motorcycle, a woman may experience stress, conflict with other road users, or injury. Such events cause the appearance of negative emotions. Stress, anxiety, anxiety and anxiety experienced by a woman may adversely affect brain development, weaken cognitive development of a child, and are also related to concentration disorders at the age of one. Researchers show that the accompanying stress can cause perinatal complications, such as a pathological course of childbirth, mental disorders of the puerperium, a disturbed process of establishing an emotional bond with the child. Nausea, vomiting and weakness during pregnancy can be banally dangerous for women and children. Pregnancy is a change that affects not only life but lifestyle. Some women initially try not to allow pregnancy-rooted changes in their lives. It is difficult for any man or woman to self-impose new limitations. We tell ourselves, “it’ll be fine” and take risks. Over time, usually in the second trimester of pregnancy, a woman begins to accept her condition and enjoy the coming motherhood. To help adjust to these changes, pregnant motorcyclists can look to physical activity. I know from my own experience that gymnastics during pregnancy provided me with physical fitness and at the same time had a positive effect on my mood. If gymnastics isn’t for you, try pilates, aquatics, or yoga classes and programs specifically for pregnant women. To sum up – “pregnancy is not a disease”, however, before you get on two wheels, you should consult your doctor. As you progress later into pregnancy, should you want to continue being on two wheels, you may want to transition into riding as a passenger. The later into pregnancy you get, the more your body will behave differently, and we should take this risk into account. Alternatively, if you really want to get out and get away, but in a safer and more comfortable setting, you could start looking into motorhomes. Traveling is often discouraged for women whose pregnancy are considered at risk and after a certain point in the pregnancy. It’s always a good idea to check with your doctor first, especially before making a big investment. To sum up, there will come a time when women who ride should park their motorcycles, however, there are plenty of other activities, including fitness and motorhome camping that worked for me. Pregnancy is not a crippling disease but the safety of both mother and child are most important. Previous: Did Harley-Davidson Just Buy An Article on Fortune.com? Between getting pregnant and riding my gsxr 600 I always will choose to ride. Freedom vs diapers. Cheers and may your wheels always be touching the ground and straight.